Popeyes launched a new menu item Monday, called Red Stick Chicken. The name comes from the ingredient the fried chicken tenders are marinated in - Tabasco sauce. The McIlhenny family has been producing that sauce on Avery Island, Louisiana since 1868, and growing the cayenne peppers for it there, as well. It is from the growing process of those crops that the Red Stick name comes from. In monitoring and harvesting the peppers, employees use a wooden stick painted the exact shade of red that the fruit must be to meet McIlhenny standards for ripeness. 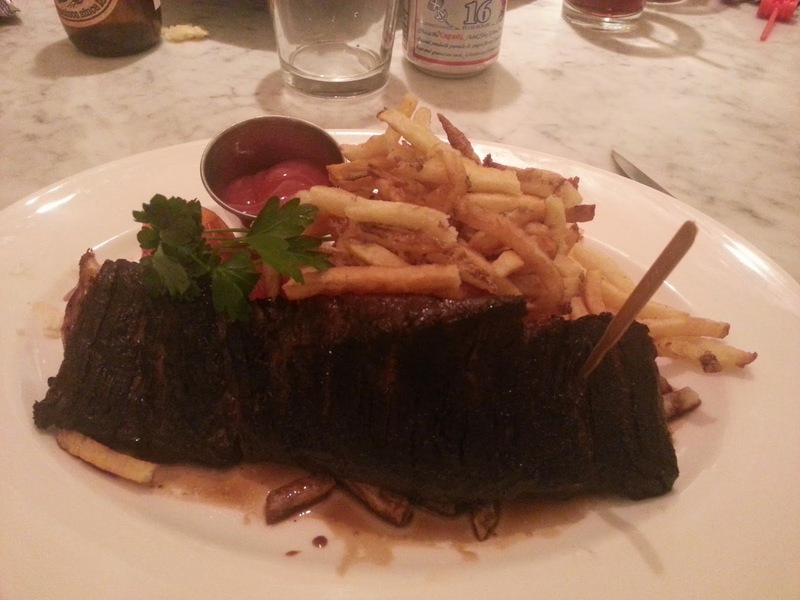 The baton rouge is known in English as "the Red Stick." Tabasco flavor and heat is met by an equally-spicy Smok'n Pepper Ranch sauce, also new this week at Popeyes. 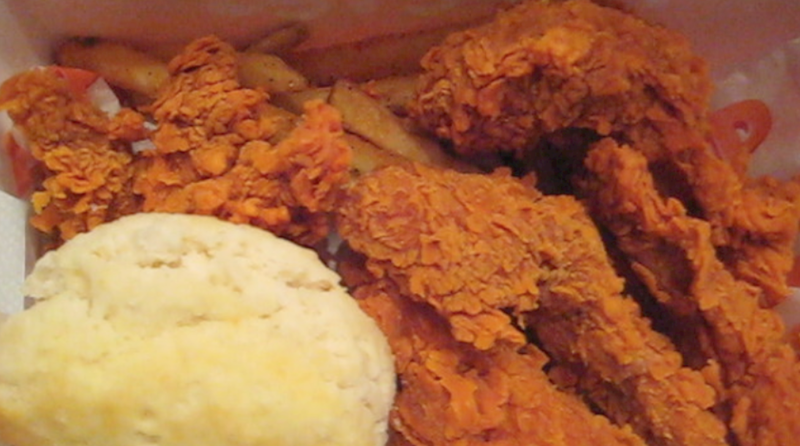 The meal is completed with a serving of Popeyes' famous fries and Southern-style biscuit. 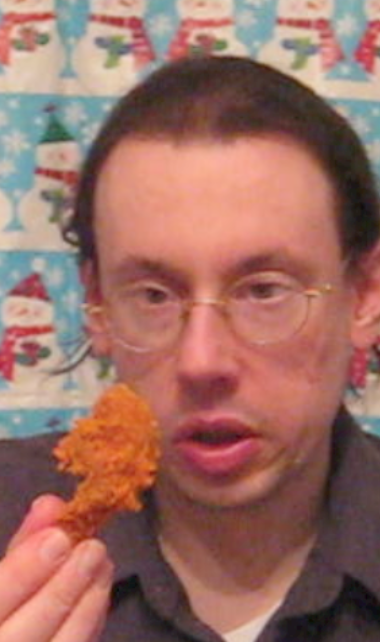 How hot is the Red Stick Chicken, and how does it taste? Watch my review to find out! You've been invited to a dinner party at a millionaire's oceanfront summer home - although you'll be paying for your meal at the end of the evening. 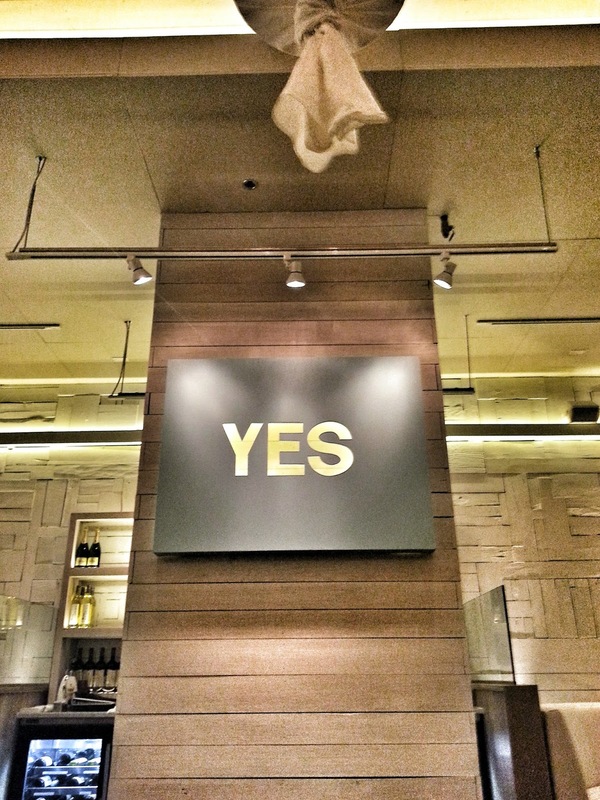 That's perhaps the best way to sum up dining at the hotspot Summer House Santa Monica. 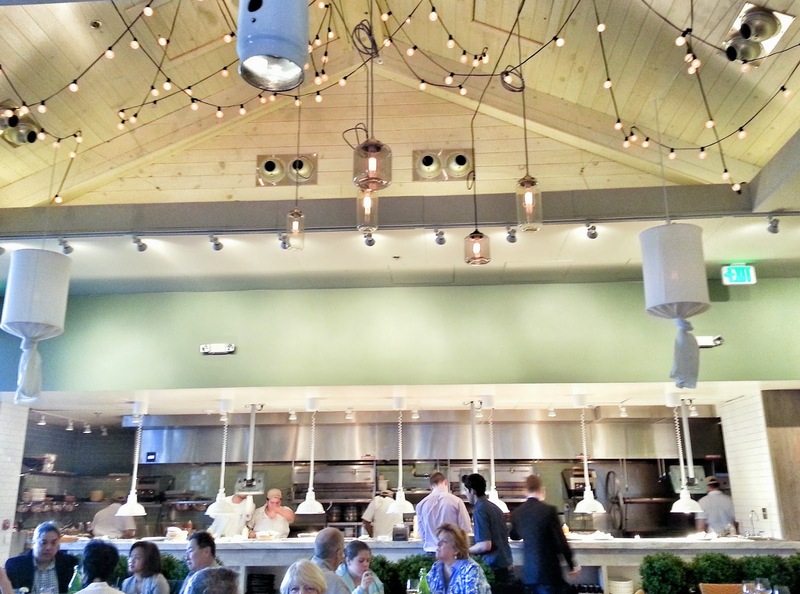 Located in Federal Realty's rapidly-expanding Pike & Rose development in Montgomery County's newly-dubbed Pike District, the restaurant is jam-packed. Is it North Bethesda? Is it Rockville? It doesn't matter, because once inside the revolving front door, you are in Santa Monica or the Hamptons. 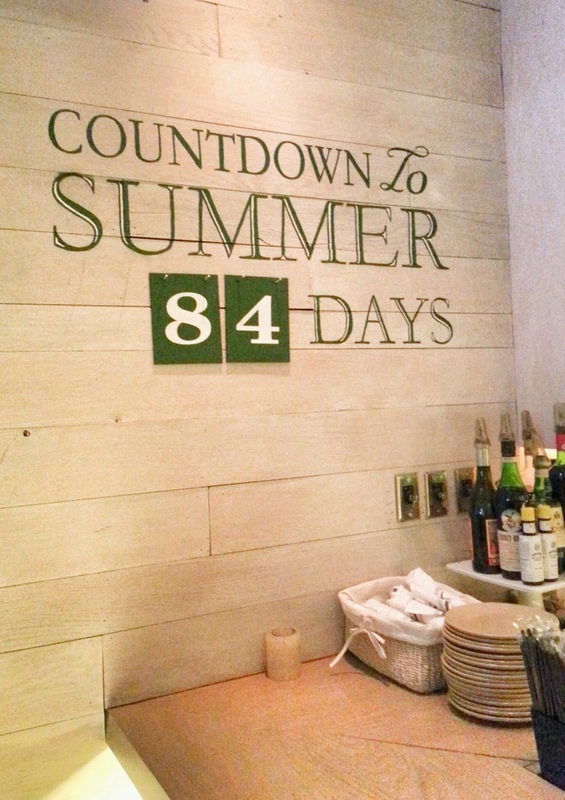 But as the tenacious winter gives way to spring, Summer House is planning to get more summery. Work is scheduled to begin today on the two outdoor dining areas, one on Grand Park Avenue, and one alongside the restaurant. 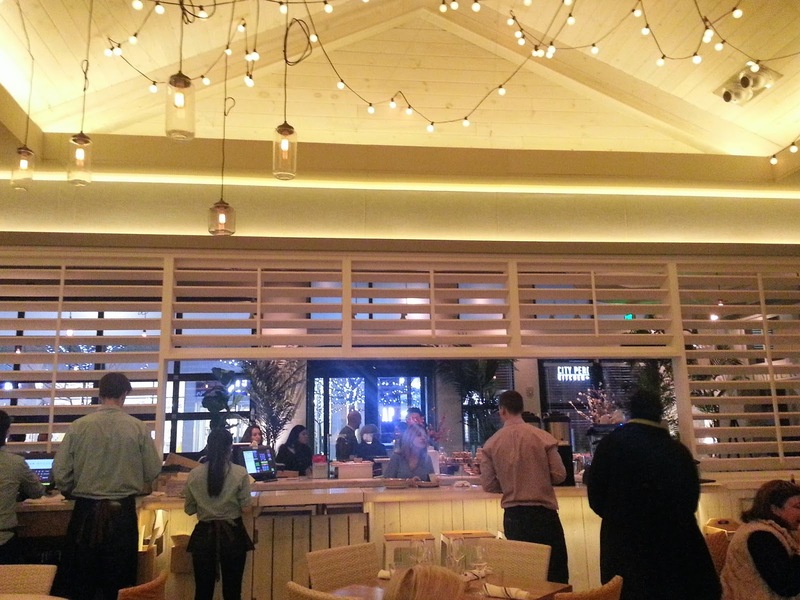 The sidewalk cafe section will be similar to that of Lettuce Entertain You's sister restaurant, Mon Ami Gabi at Bethesda Row, while the second patio will be larger. 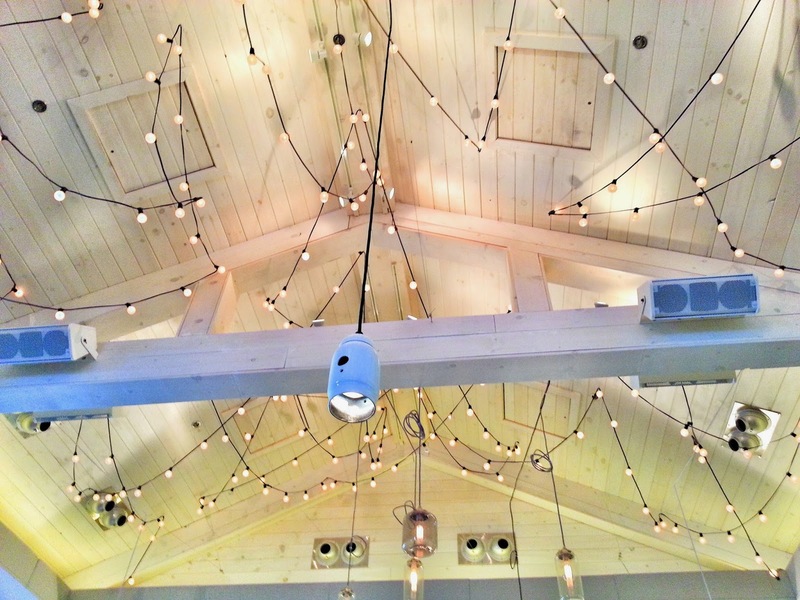 Parts of the side walls, and garage doors on the front, will open during warmer temperatures, bringing more of the summer weather into Summer House, and the restaurant's hip atmosphere out to the streetscape. 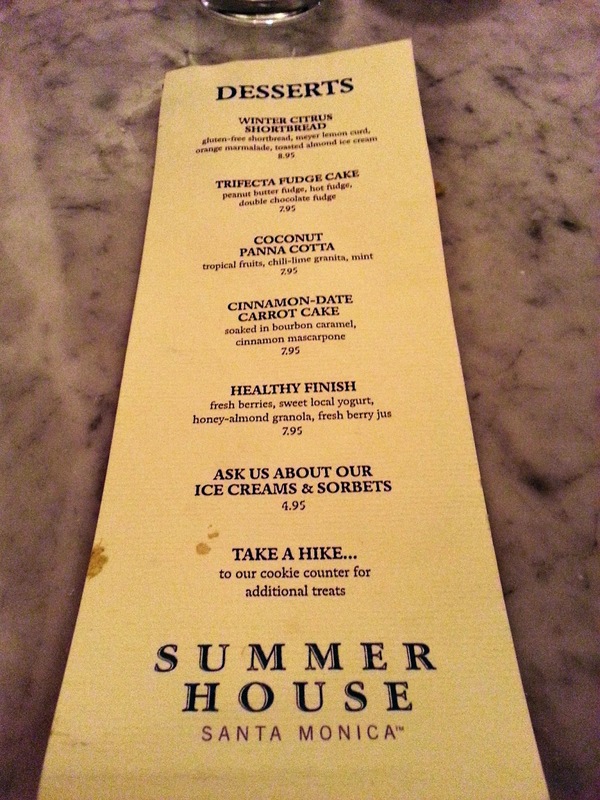 I stopped by to check out Summer House for myself yesterday. 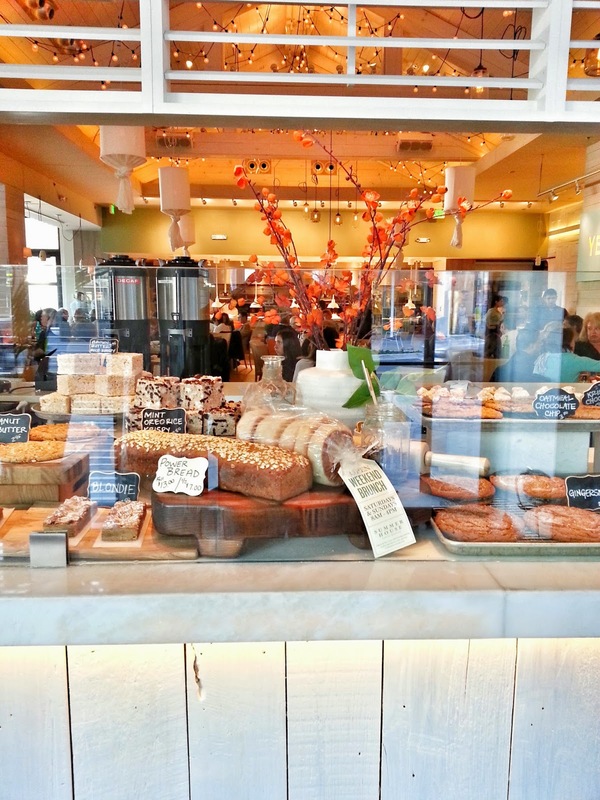 The first thing you will notice when entering is the bakery, chock full of fresh-baked bread, cookies and brownies - and Mint Oreo Rice Krispies treats. Man cannot live on bread alone. You'll most likely be stopping there again before you leave. 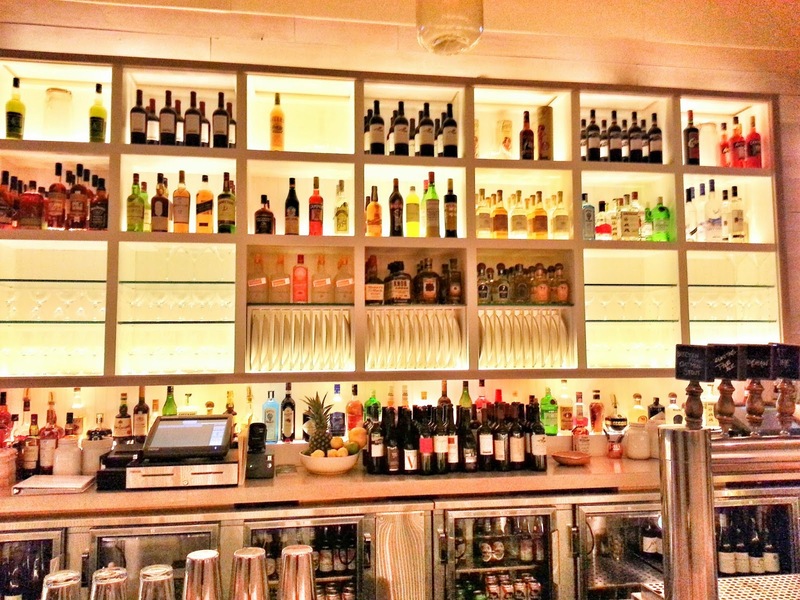 Right now you need a refreshing beverage. There are quite a few summer-appropriate cocktails, and a good selection of wines - including one of my favorites, a Malbec by Alto las Hormigas. 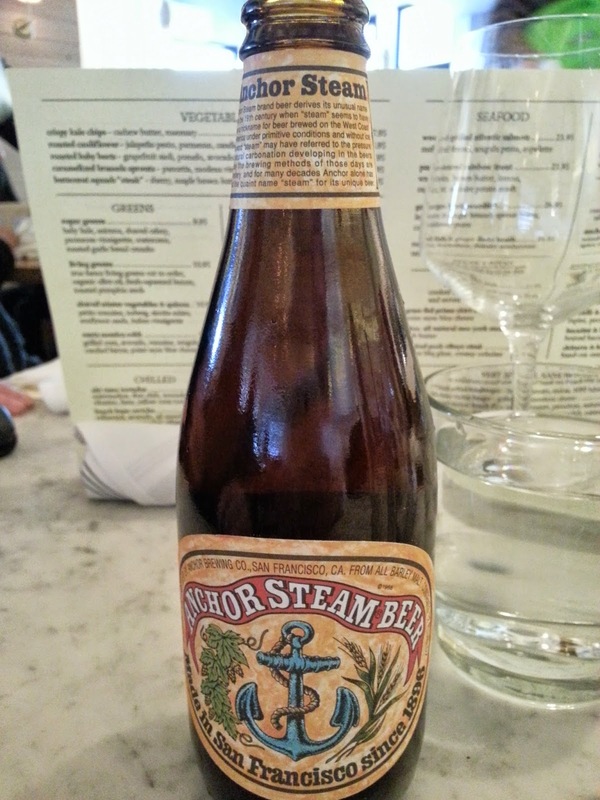 But I decided to go to the beer list, noticing that - alongside my standby Pabst Blue Ribbon - they had another classic American brew less often found on beer lists around here: Anchor Steam. 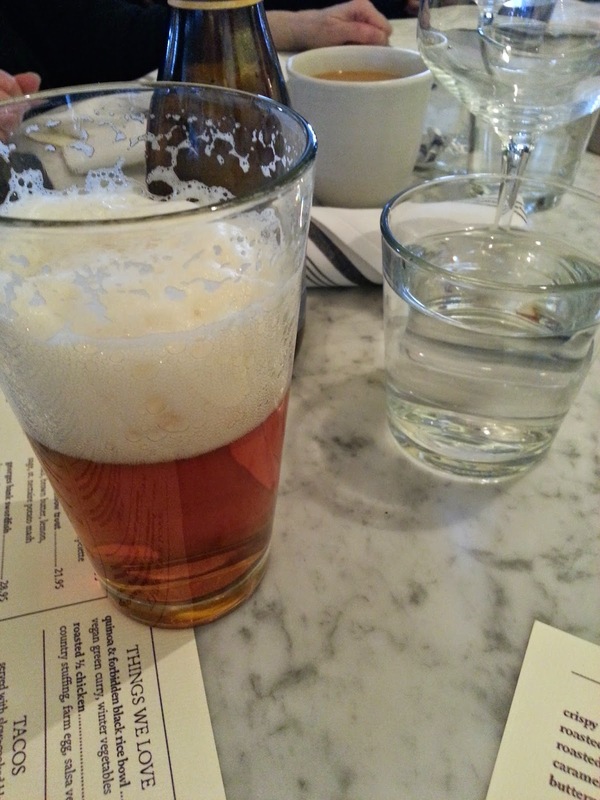 I liked this California Common-style beer, which dates back to 1896 San Francisco. 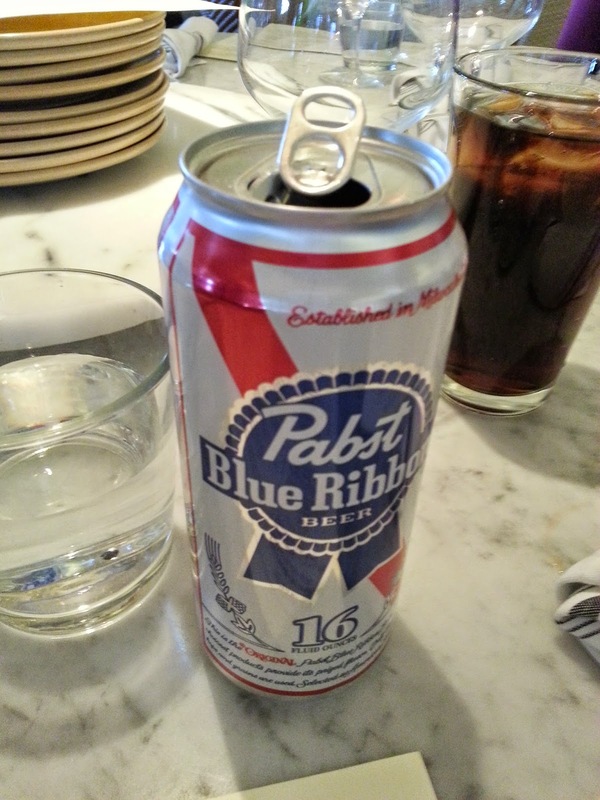 I'm giving it 4 stars out of 5 under my beer rating system. Next, I tried the Guacamole and Corn Tortilla Chips platter, which also includes some charred tomato salsa. 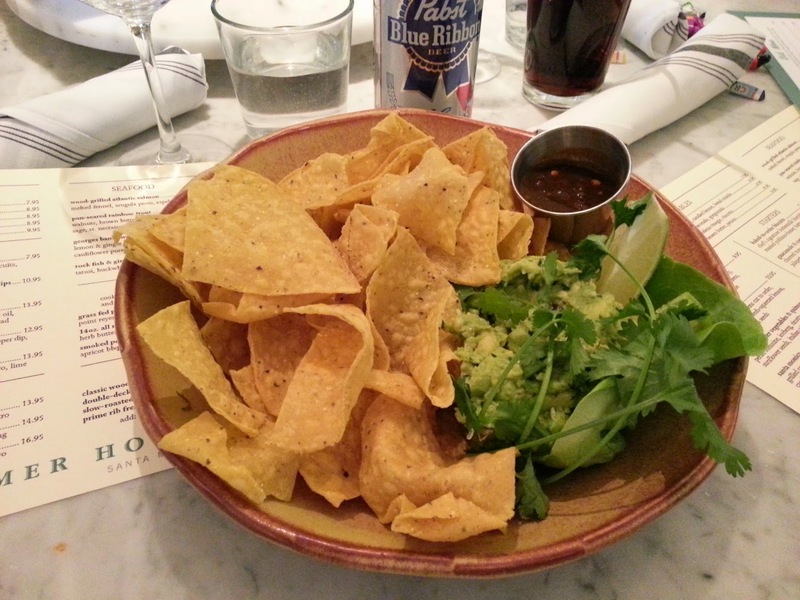 The chips were fresh with good corn flavor, and well-paired with the two above-average dips. You'll be satisfied, as they deliver exactly what you expect. 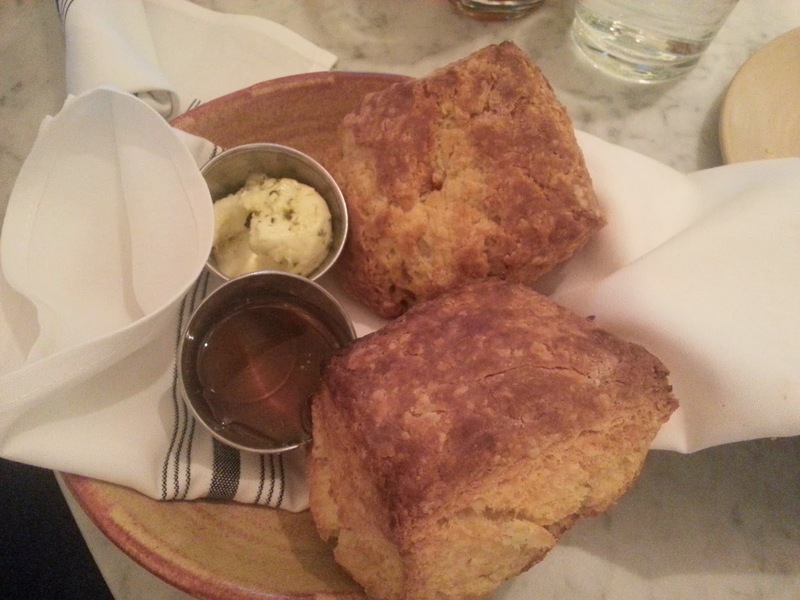 My favorite appetizer was the Baked-to-Order Biscuits, which are just that - baked when you order them. Slightly sweeter than the Southern-style baking powder biscuit, they are heavenly with the included roasted poblano honey and soft herb butter. I recommend putting extra of both on as I did, as the melting butter on the fresh, hot biscuit made this a 5-star winner. Then it was on to the main event. The Roasted Half Chicken provided a large portion of white meat chicken, some carved, and some still on the bone - including a drumstick. I found it not overly salted, with a crisp snap to the outer skin. The salsa verde gave it more of a summer flavor. 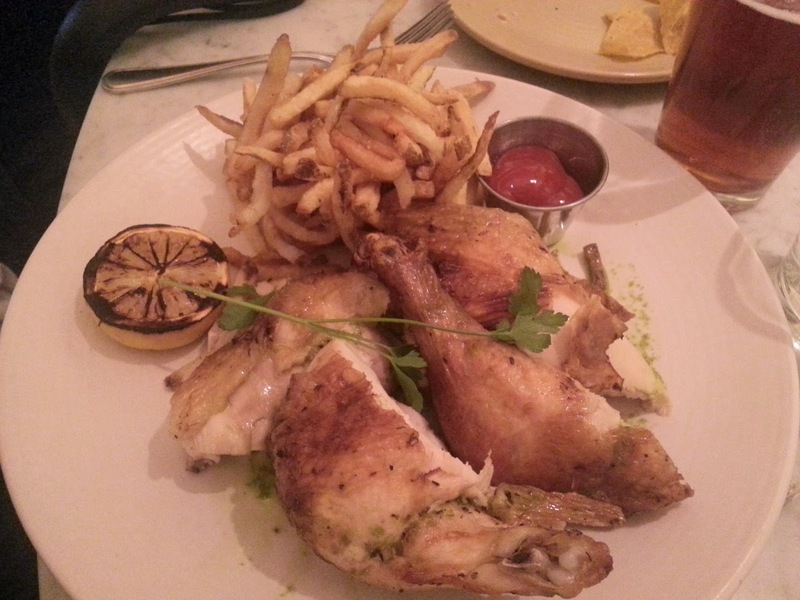 A massive heap of french fries that provide what everyone loves in McDonald's-style fries (crisp outside, soft and warm inside, but with some skin on in this case) was next to the chicken. 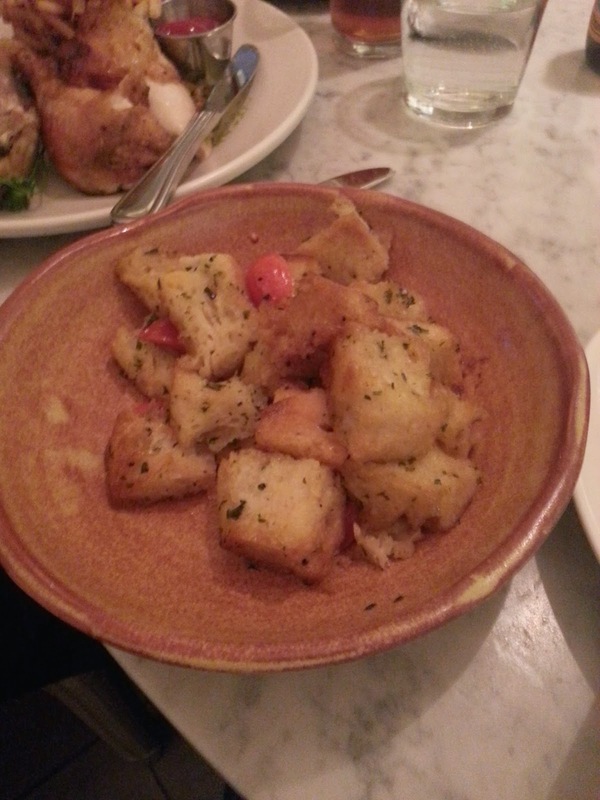 A side dish of Country Stuffing boasted massive, soft croutons and cherry tomatoes, the latter keeping the theme from sliding from summer to Thanksgiving. 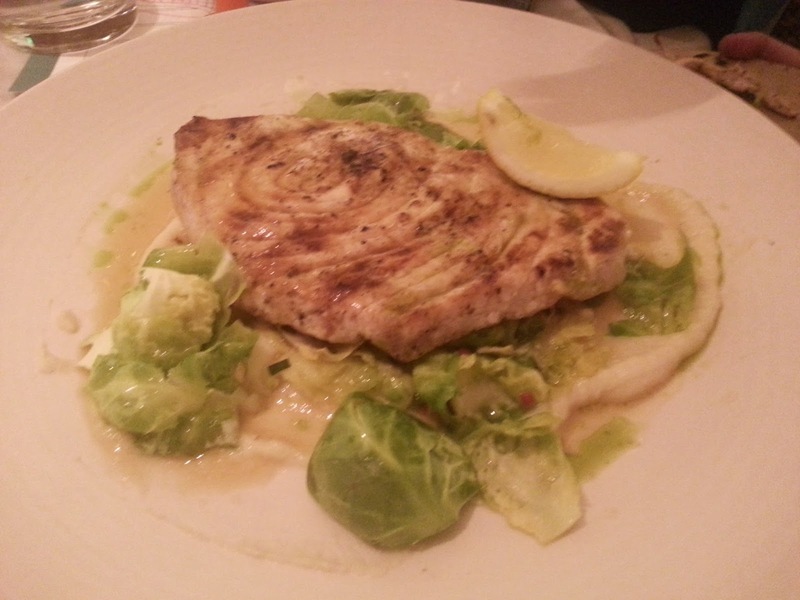 This is a classic dish, basic and perfectly-executed. 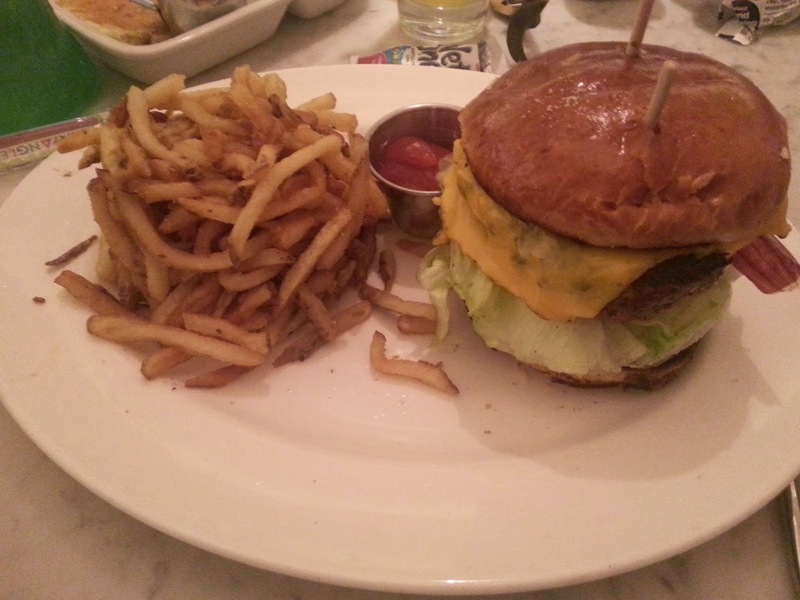 Some other highlights - a well-cooked burger with more of those great fries, a Georges Bank swordfish, and a grass-fed Prime Skirt Steak with Point Reyes blue cheese were also winners. 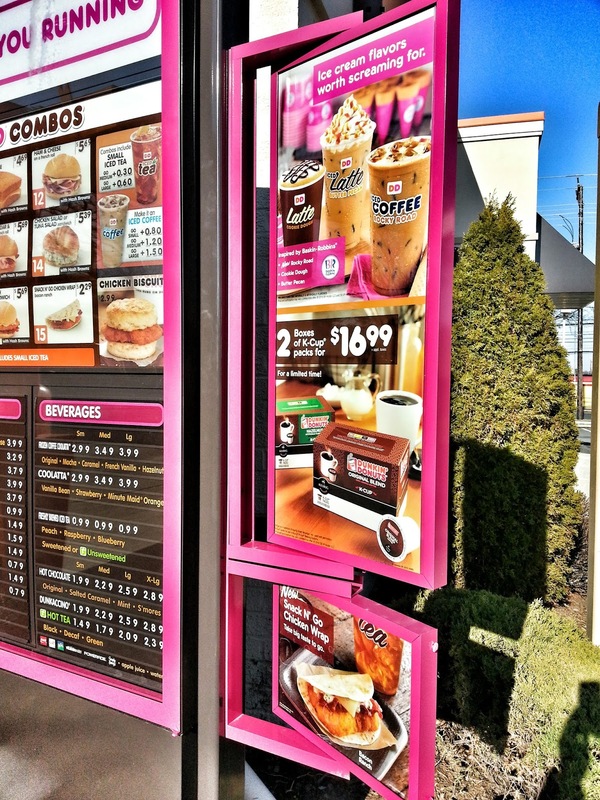 Now when it comes to dessert, you have a selection of menu items - or, you can head out and pick your dessert from the bakery case (I told you you'd be back!). 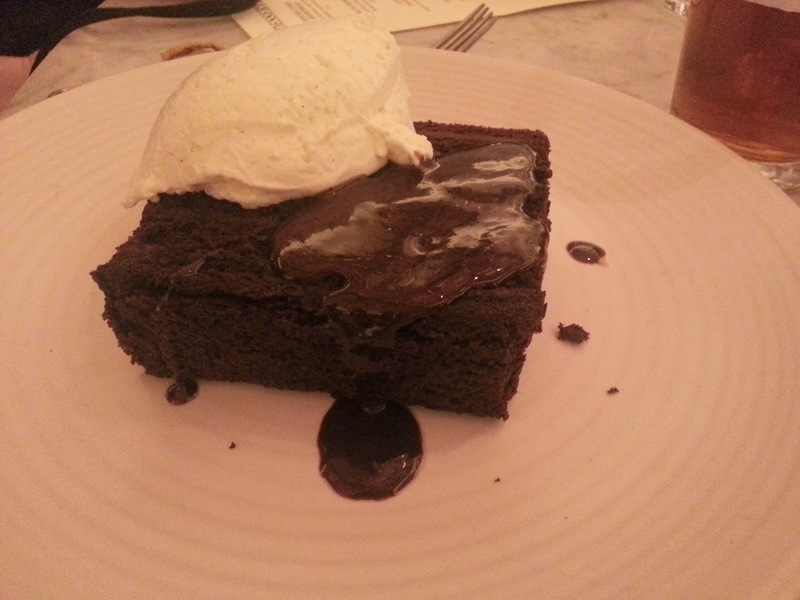 The Trifecta Fudge Cake seems to be a popular choice, and with good reason. 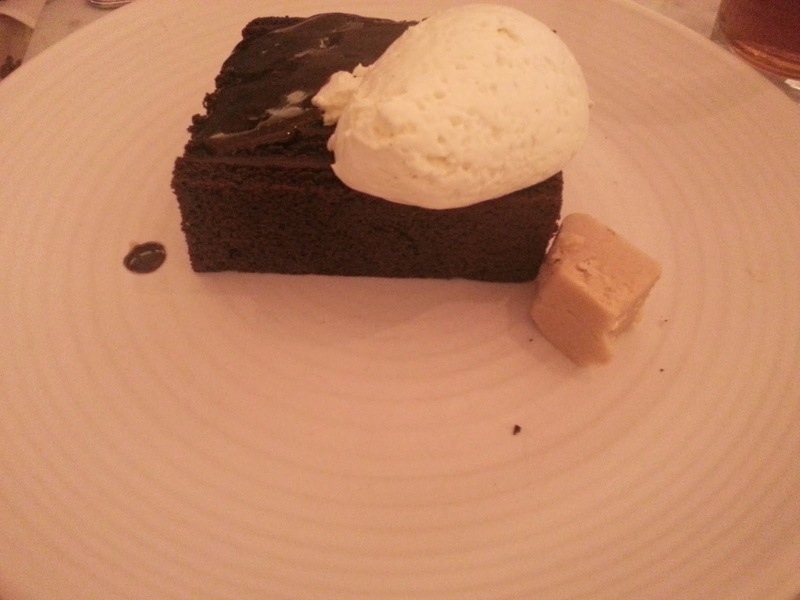 A dense fudge cake topped with a massive dollop of fancy whipped cream, its fudge filling and fudge sauce are rich enough to be a match for the cube of peanut butter fudge that joins it on the plate. Peanut butter sealed the deal for me, and again works with the summer theme, as the fudge reminds one of that sold on the boardwalk at Ocean City. 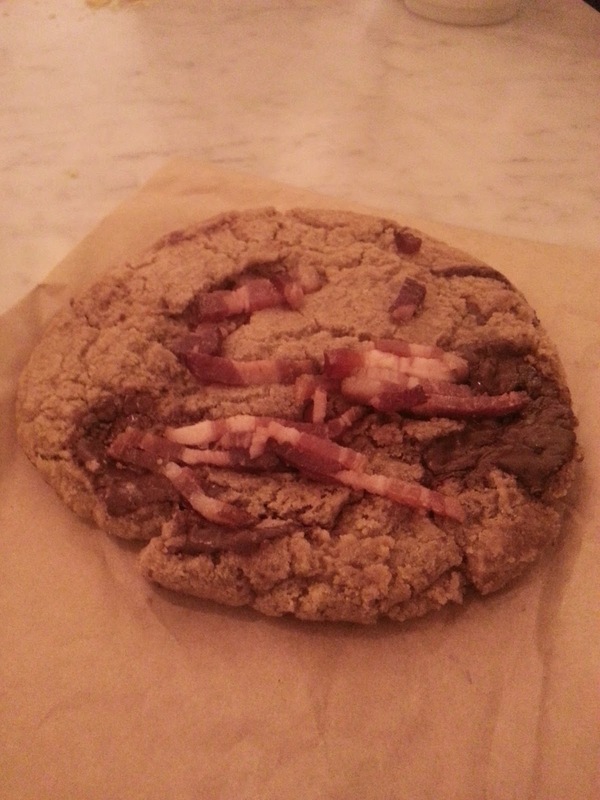 Then again, you could go for the bacon-topped chocolate chip cookie. It is a real thing, and it's scrumptious. 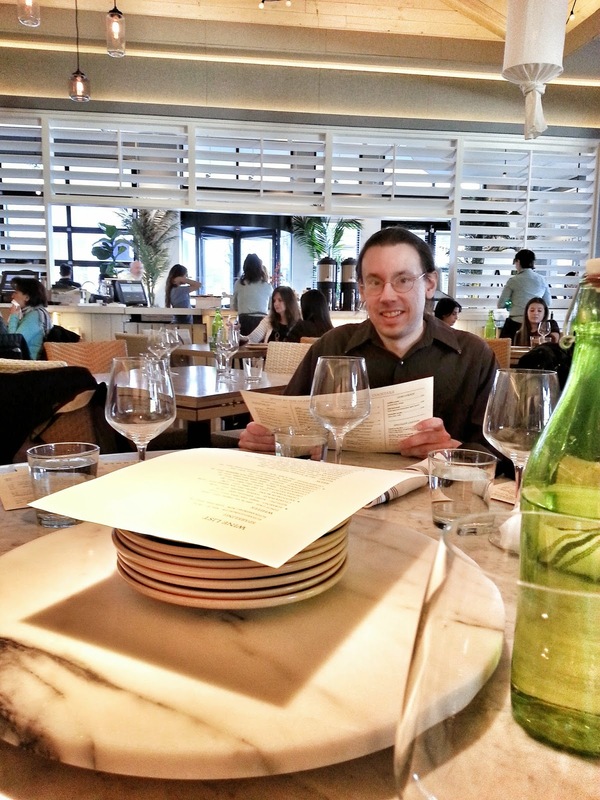 Overall, the service was outstanding. I'm looking forward to going back during the summer to check out the patio, and see what the summer menu and beer list will have to offer. 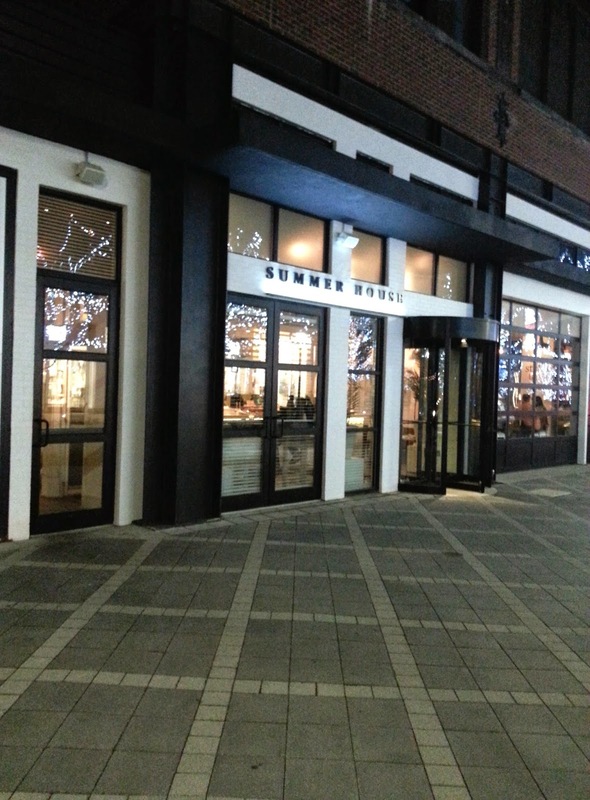 The latest dining addition to Rockville Town Square will be Samovar, a 3,353 SF restaurant featuring the cuisine of Russia with Eastern European and Central Asian accents. 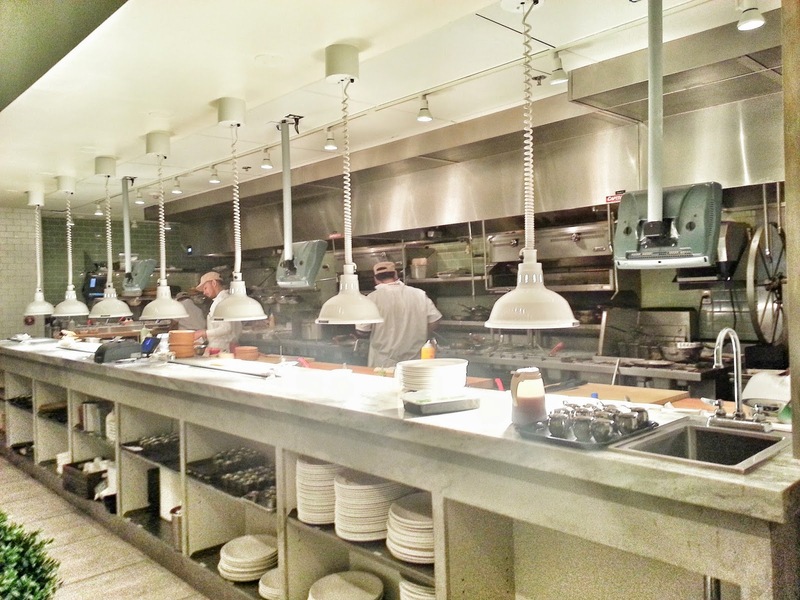 Father-daughter owners Solijon Nasimov and Ika Nasimova have over 25 years of experience in the industry, with restaurants in New York, Colorado, and their home country of Tajikistan. This is their first DC-area venture. they are also the caterer for the Russian Trade and Cultural Missions and Tajikistan Embassy in the District. 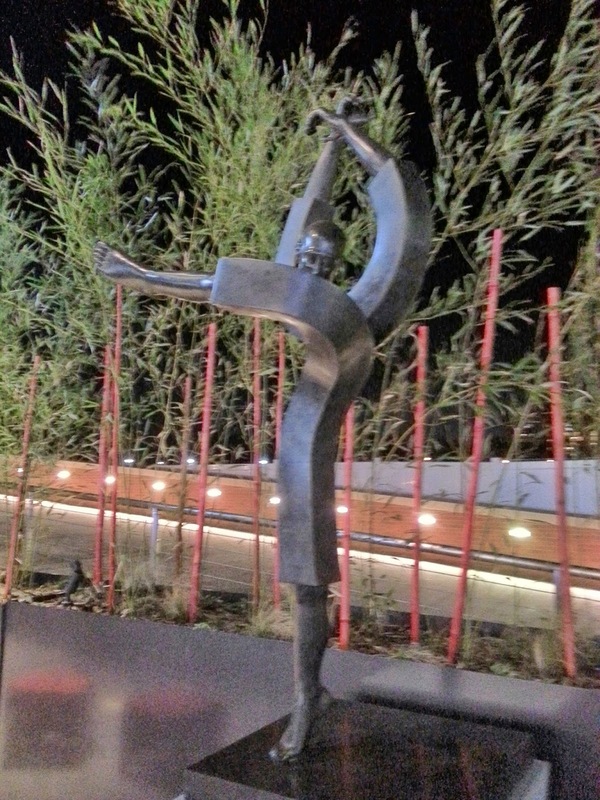 Samovar will feature live music on weekends, and is expected to open this July at 201 N. Washington Street. 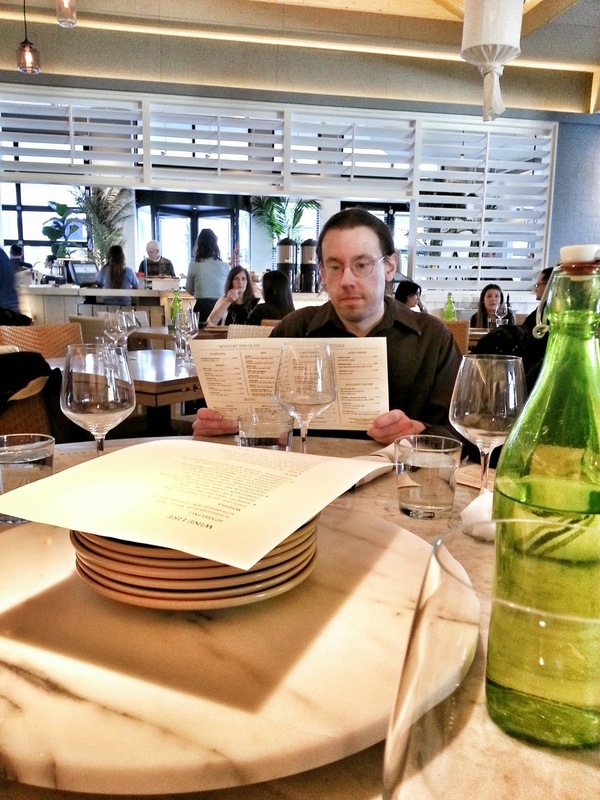 Meanwhile, an update on my previous report this week on Miso Café. It turns out Miso will be a Korean fusion restaurant, not Japanese as I assumed from the name. 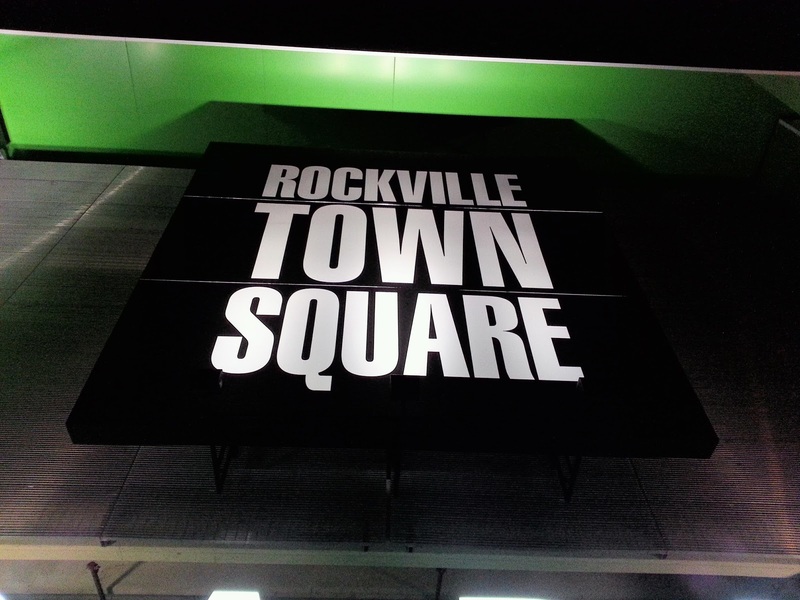 The owners, who have an existing outpost in Annandale, hope to open this summer at Rockville Town Square. Enjoy all-you-can-eat wings today at Hooters of Rockville. The offer is good all day, and is limited to dine-in customers only. InfoStructures, a Rockville technology consulting firm that has government and private sector clients, had a problem. 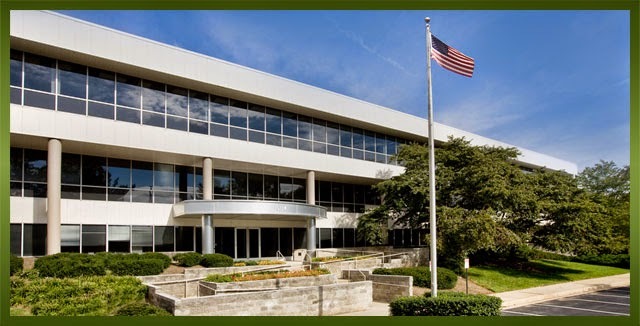 The city recently gave the JBG Companies the green light to demolish the building InfoStructures is headquartered in, the historic 5 Choke Cherry Road. Fortunately the city has been able to hold on to those jobs, as InfoStructures just leased 4850 SF at 1390 Piccard Drive. That building is owned by Washington Property Company. The deal was facilitated by real estate firm Transwestern. Transwestern also helped WPC land another tenant at that address, ABSG Consulting. 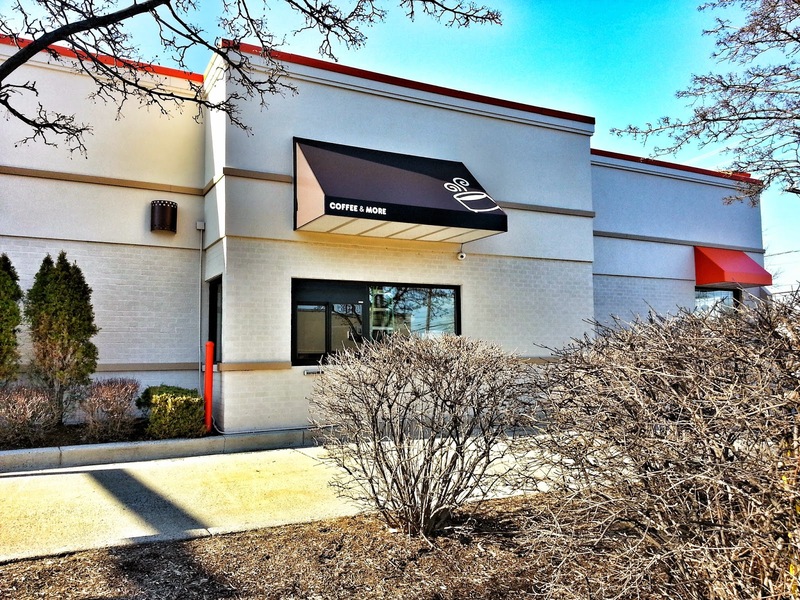 They leased 2200 SF recently, as well. Rockville's operating and general fund budgets would increase (by 3.6% and 4.3%, respectively) in size under City Manager Barbara Matthews' proposed FY2016 fiscal plan. The budget book was formally introduced to the Mayor and Council at last night's council meeting. The city government's minimum wage would increase to $9.55 on July 1, 2015, but the property tax rate paid by residents and businesses would remain the same as this year's. That won't prevent some from paying more property taxes, however, as assessments have been trending upward. Watch your wallet, though: utility bills and refuse/recycling fees would increase under the proposed budget. You can read the full budget here. The budget will change based on feedback from the Mayor and Council and the public. To comment on the proposed budget before it is adopted at the May 18 Mayor and Council meeting, you can speak at public hearings scheduled for March 30, April 13, and April 20. Twinbrook residents concerned about the future of their historic neighborhood may want to attend a meeting next month. Members of the Rockville Historic District Commission will attend a Twinbrook Citizens Association meeting Tuesday, April 28 at 7:00 PM to discuss options the neighborhood can consider going forward. Commissioner Jessica Reynolds says "many of those homes are now within the 50 year" eligibility period, and that homeowners may wish to explore historic designation or other preservation efforts. It appears another Asian restaurant is coming to Rockville's town center. 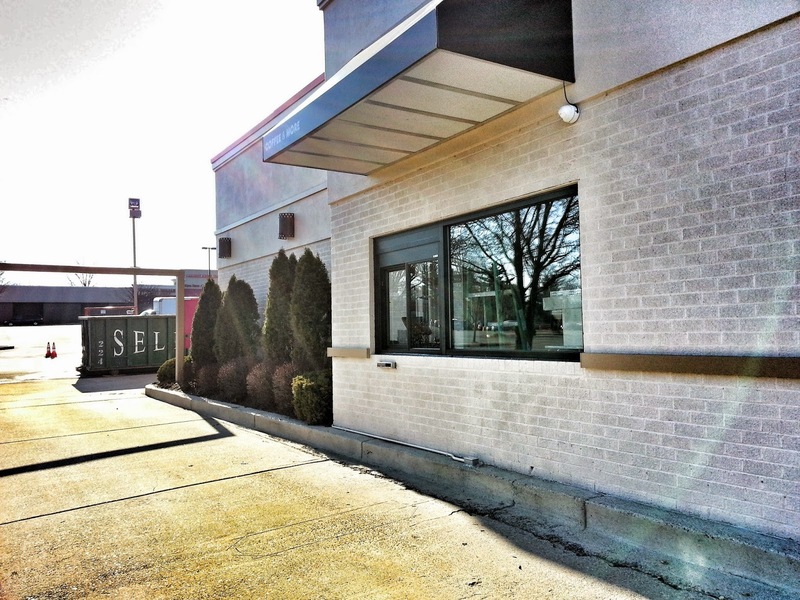 Japanese restaurant Miso has leased a space on Maryland Avenue at Rockville Town Square. 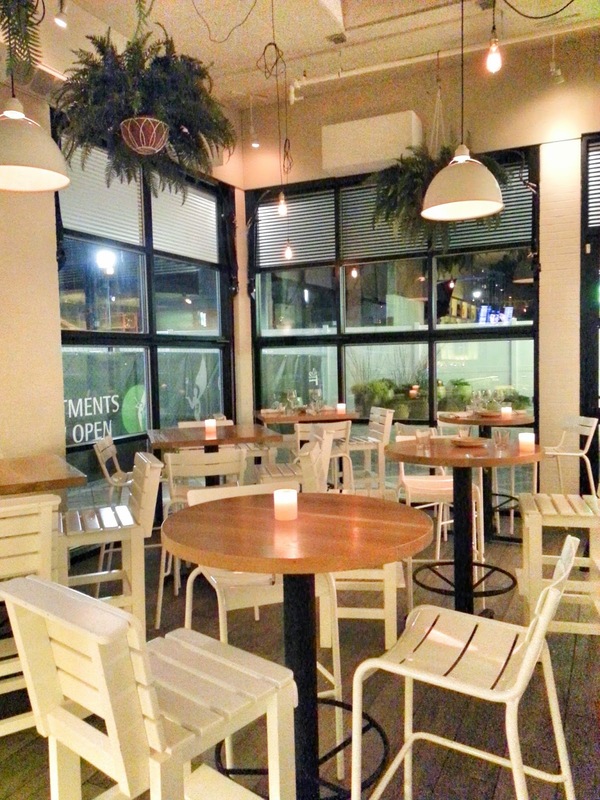 Stay tuned for more details on the menu and opening timeframe. 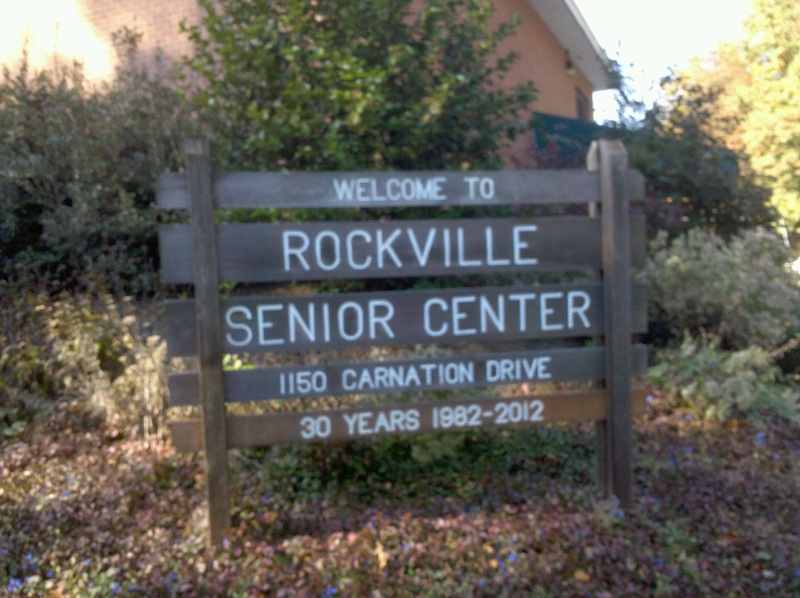 The Rockville Senior Center, built in 1960, is getting a facilities upgrade after the Mayor and Council unanimously approved a bid for installation of an emergency generator, two boilers, main branch panels, life safety panel, Current Transfer cabinet and an Uninterruptable Power Supply system. Limbach Company, LLC of Laurel had the winning bid out of 8 hopeful applicants, which included local giant M.C. Dean. Once a contract is issued by the city, and Limbach meets all bond and insurance requirements, the deal will be final. The Senior Center currently lacks a backup generator for use during power outages. It previously was an elementary school before being converted to a senior center. The fickle temperatures this week are getting the water mains riled up again. One broke in the 2100 block of Wooton Parkway yesterday, causing a temporary closure of one lane. Rockville's Department of Public Works says no customers were effected by the break. Light snow is forecast for Friday, so this may not be end of the water main issues for the winter, even as spring arrives. 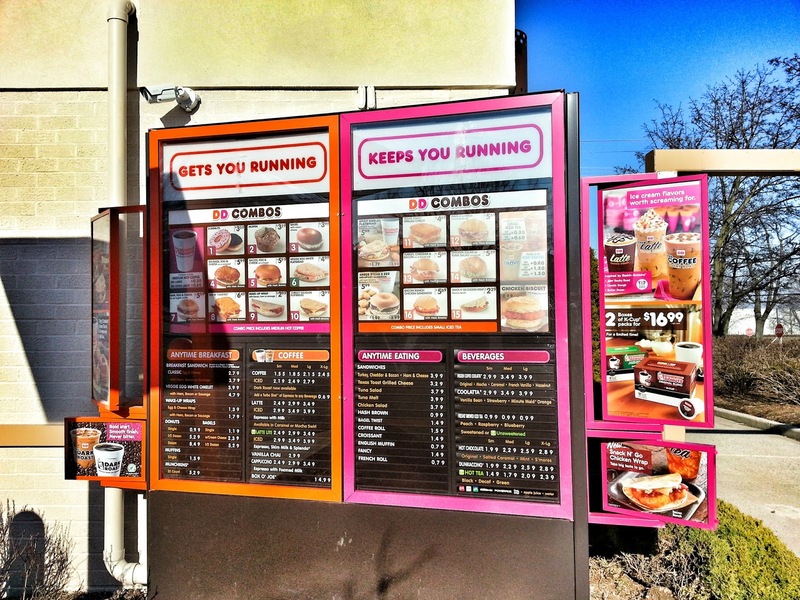 There's new competition for the Fallsgrove drive-thru Krispy Kreme in Rockville as of this morning. 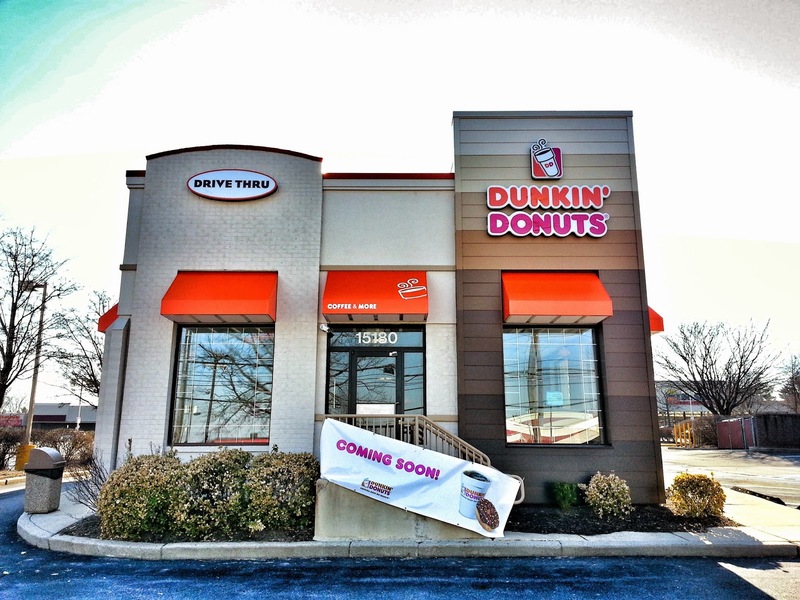 A new Dunkin' Donuts location plans to open in College Plaza today, in the former Chicken Out/A&W space. The even better news - they are actually going to use the drive-thru set up left from previous fast food tenants (unlike Chicken Out). 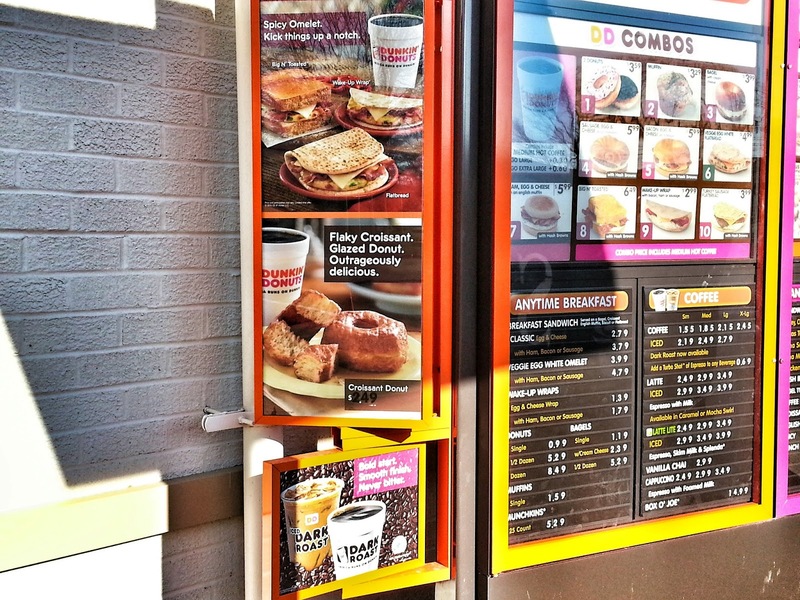 As you can see, the drive-thru menu is already in place (and, yes, they do have the latest Croissant donut, Spicy Omelet Flatbread, and Rocky Road iced coffee). You'll also note the building exterior has been given a freshening up. College Plaza is located at the intersection of Route 355 and College Parkway. 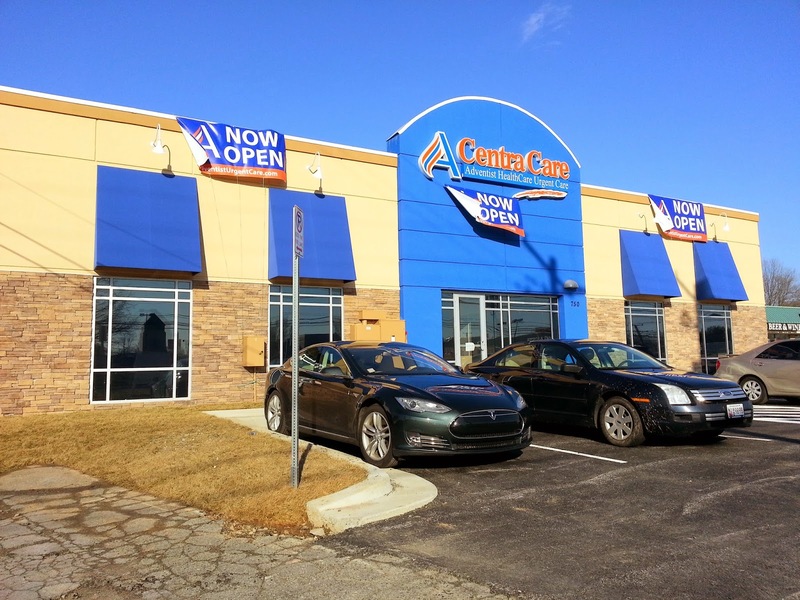 Centra Care has opened at 750 Rockville Pike. The walk-in, urgent care health clinic is operated by Adventist Healthcare of Montgomery County, probably best known for its hospitals such as Shady Grove. Patients can receive treatment for non-life-threatening emergencies 7 days a week; the clinic closes at 8:00 PM. Appointments can be made online, and physicians are board-certified. On-site medication dispensary eliminates the need to make a separate trip to a pharmacy for prescriptions. 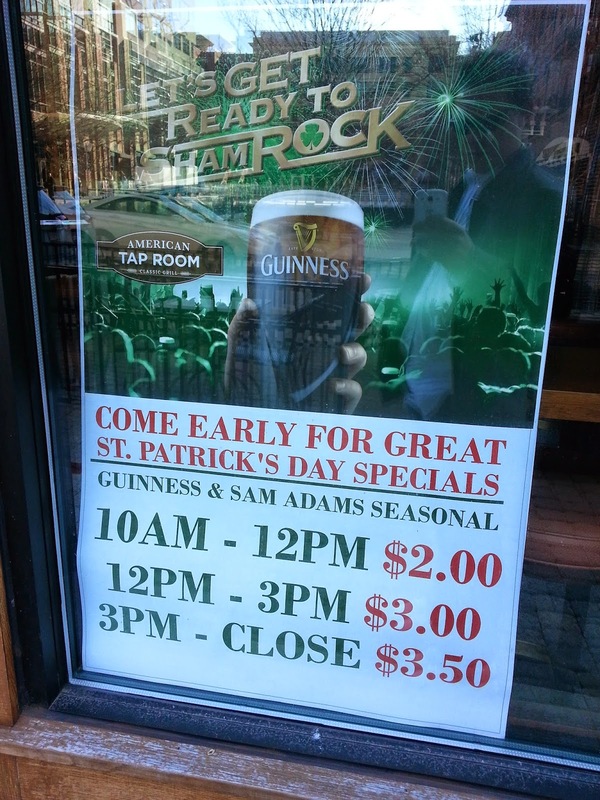 Searching for St. Patrick's Day specials in Rockville? Here are some of the best around town. 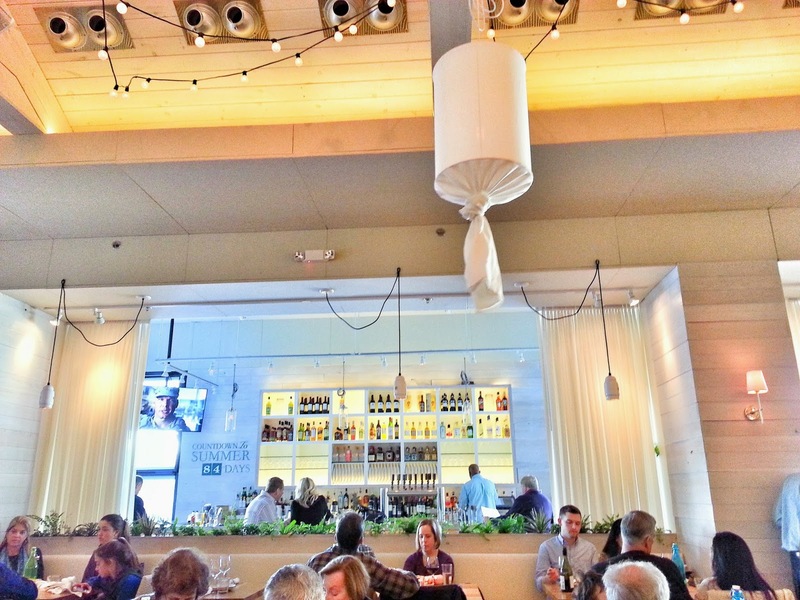 Want to add your restaurant or bar to this list? Post a comment, or email robert1999 [at] hotmail [dot] com. All day drink specials include $4 green beer, $5 Jameson, and $6 car bombs. Irish Red tapping party 5:30-7:30 PM on St. Patrick's Day, plus regular Happy Hour specials. 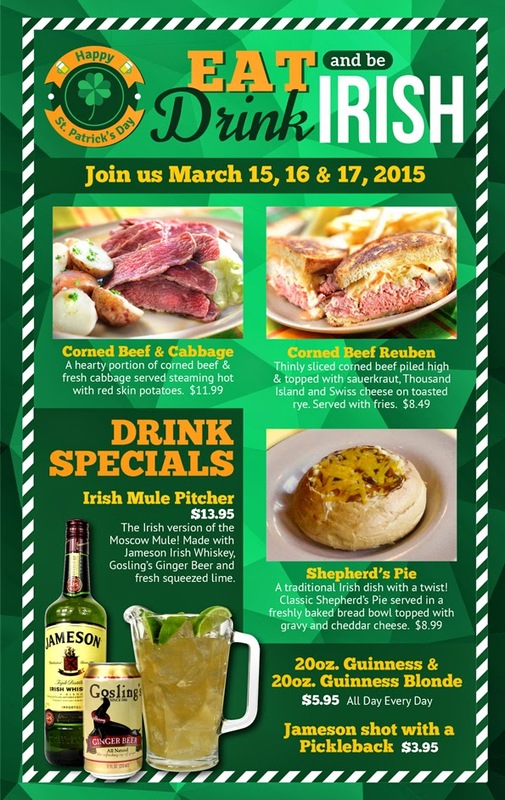 Tower Oaks Lodge promises Irish food and drink specials all day. DARCARS has requested an opinion from the Rockville Historic District Commission as to the historic significance of a building it wishes to demolish at 755 Rockville Pike. That is the address of DARCARS' Chrysler-Jeep-Dodge dealership, and there is only the one structure on that site. This could be for a partial demolition, such as construction of a new showroom. The matter will be taken up by the commission at its March 19 meeting, which will be at 7:30 PM at City Hall. The latest Roti Mediterranean Grill in our area will be opening at Pike & Rose next month, in North Bethesda's Pike District. To celebrate the grand opening, Roti is giving you a chance to win free lunch every day for a year at this location. Particularly if you work in one of the office buildings nearby, this could be well worth the time entering. Just fill out the entry form online. One person will win the grand prize shortly after the restaurant opens, but 10 additional entrants will win free lunch for a month. And everyone who enters will get a free order of falafel. 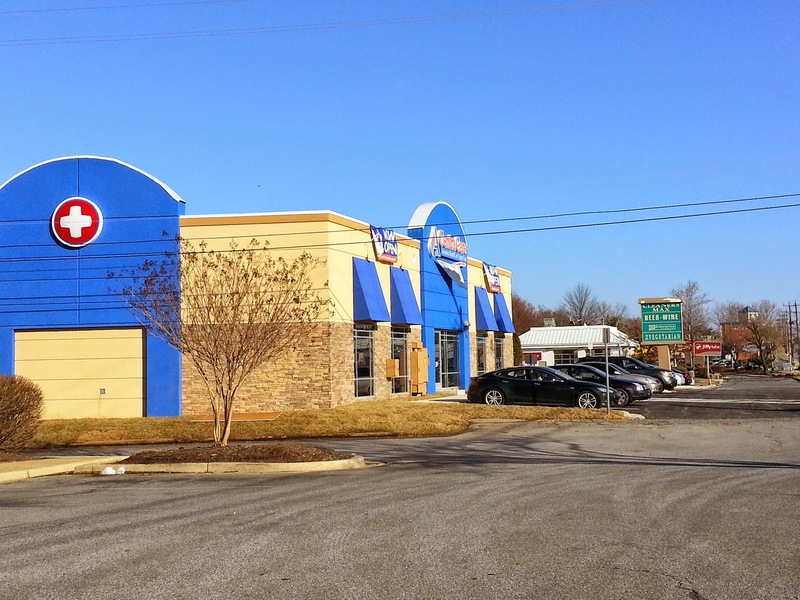 Pike & Rose is located at the intersection of Old Georgetown Road and Rockville Pike. 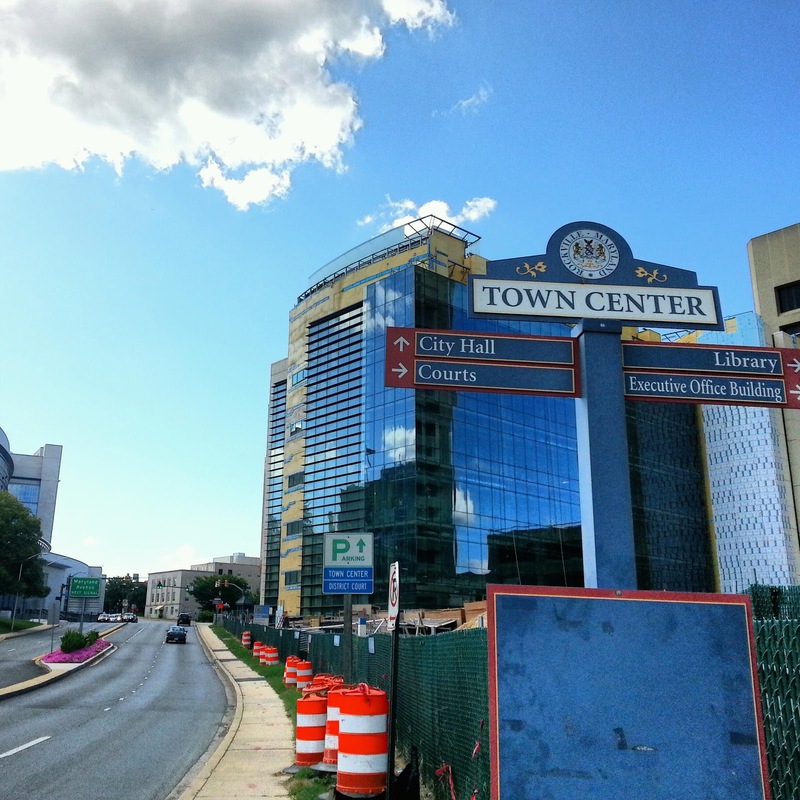 Residents who came out to speak against weakening Rockville's Adequate Public Facilities ordinance (APFO) often cited the danger to the city's quality of life. The sense that Rockville has a good quality of life today seems to be reflected in a National Research Center survey of city residents, which was presented to the Mayor and Council at this week's meeting. Residents did express concern about a shortage of affordable housing, and the need for more support for seniors who are aging in place in Rockville. 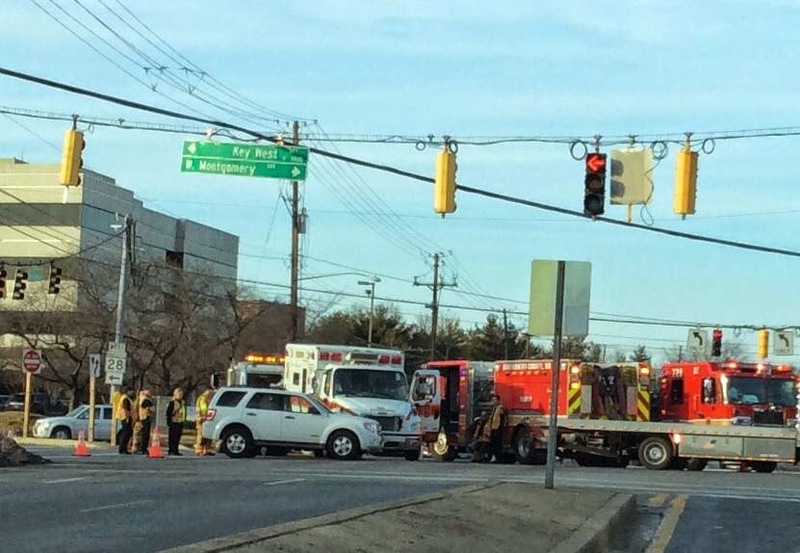 A Montgomery County Fire and Rescue EMS unit was en route to Shady Grove Hospital with a patient aboard when it was struck at the intersection of Shady Grove Road and Key West Avenue Monday evening. 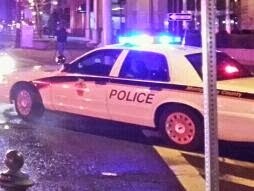 An occupant of the civilian vehicle that was involved in the collision suffered non-life-threatening injuries, according to MCFRS spokesperson Pete Piringer. The Montgomery County Council's Public Safety Committee will take up the issue of body cameras for Montgomery County Police officers today at 2:00 PM. Committee members Tom Hucker (D-District 5), Sidney Katz (D-District 3) and Chair Marc Elrich (D-At-large) will hear testimony from Montgomery County Police Chief Tom Manger on issues such as privacy, cost and storage of recorded video. The MCPD is expected to implement a body camera pilot program by the end of this year. This meeting will be broadcast on County Cable Channel 6 (30 on Verizon), and streamed online. As Paul Harvey used to say, "And now...the rest of the story." This past Saturday's infrastructure summit at Bethesda-Chevy Chase High School was long in hours but short on accurate information. The Parents' Coalition of Montgomery County described it as a "farce." Much of the program was made up of County officials delivering the same talking points we've already heard in other forums, and too little from actual parents and residents. More facts were being tweeted by the PCMC and citizens during the meeting than being generated by the speakers themselves. DC, Fairfax and Arlington have all had real estate development booms - and they all had budget shortfalls this year. Montgomery County has been growing like mad before and after the recession - and is in a structural deficit as far out as the projections go. Guess what? It's a fact that residential development does not generate the revenue needed to cover the schools and services those new populations require. Your ever-increasing Montgomery County taxes and fees are the best evidence of that. The use of cluster averaging allows County officials to give the false impression that overcrowding is currently under 120% of capacity. 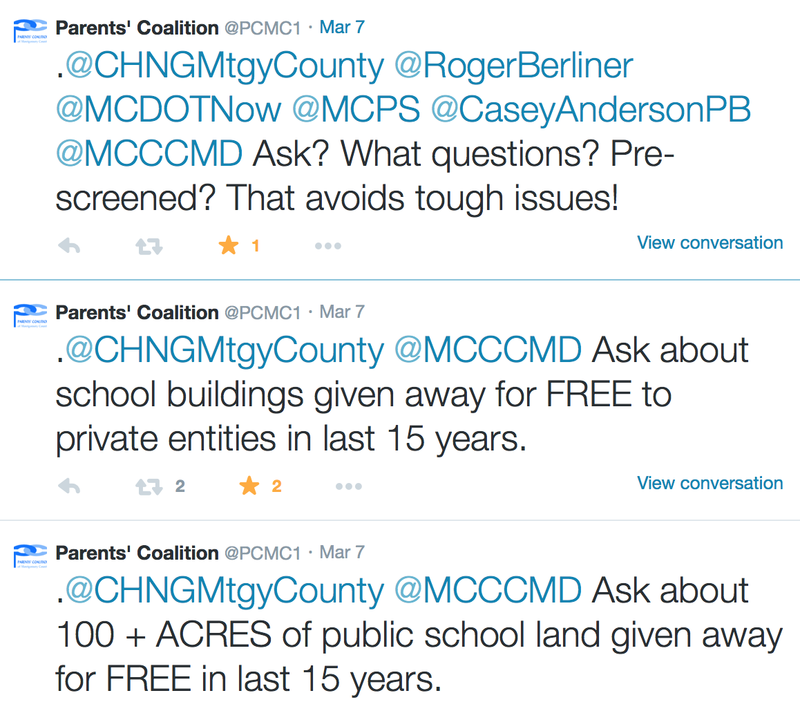 FACT: I'm aware of eight Montgomery County public schools which currently exceed 150% of capacity. One is at, or exceeds, 180% of capacity. At some point, it's like having two schools within one building. FACT: As regards future development in the Walt Whitman cluster - those schools are over capacity now. Wood Acres Elementary is getting an addition, and that will put it at full capacity when completed (it was over-capacity prior to the beginning of construction). Kids are taking gym class in hallways at Pyle Middle School. FACT: The generation of students from multifamily housing in the Whitman cluster, and in the Westbard Sector in particular, is significantly higher than elsewhere in the county. Bruce Crispell, long-range planner for MCPS, acknowledged this fact at the Westbard Sector Plan charrette. How about those talking points about "urban" schools? Put aside the point that Westbard and other areas being targeted for massive overdevelopment are definitively suburban and residential in character for a moment. Put aside the point that neither potential elementary school site floated by planners for the Westbard sector is large enough to hold a school. Put aside the point that the acreage of Westland Middle School and the current Little Falls Library site together is not large enough to support the population, employees and facilities for two "collocated" schools (one wonders how many people who are talking about "collocating" a school at the Westland site are aware of the actual size of the property, and that any expansion into Equity One's site is blocked by the driveway for Kenwood Place - and the proposed Equity One grocery store building that would be on that part of the Westwood Shopping Center site). Put that all aside, and ask yourself if you want your kids in a tiny school, with inadequate playground space, athletic fields and other facilities. As Rockville Planning Commissioner John Tyner pointed out recently, schools involve more than just jamming kids into sardine can classrooms and "urban" (a.k.a. cramped) school buildings. The facilities that high-quality schools require are "the things that really determine if kids get a good education or not," Tyner said. I won't even get into the idea being floated of these schools being placed in industrial areas! What's better than a portable classroom? A portable classroom next to an EPA brownfield, I guess. "Full disclosure": The architect speaking at the meeting was with Perkins Eastman. The same Perkins Eastman retained by developer Equity One for its Westbard redevelopment plan. The same Perkins Eastman that thereby will profit from approval of the Westbard Sector Plan as currently formulated. An approval that will be decided by Chairman Anderson, and Councilmembers Roger Berliner and George Leventhal, and other officials present at Saturday's forum. Is this a forum, or corporate lobbying? By the way, there's a lot more to infrastructure than schools. Roads, sewers, police and fire are just some of the major expenses development generates. Yes, proponents of BRT did use this forum to push for that $5 billion bus system boondoggle - which will have zero impact on traffic congestion. FACT: BRT would reduce capacity on the County's most-traveled commuter routes by a full 33%. FACT: The current draft of the Westbard Sector Plan includes not a single project or proposal to increase automobile capacity on River Road or Massachusetts Avenue. And how could you do much anyway, given that the River Road right-of-way is constricted by homes east of Little Falls Parkway. Would the War-on-Cars-Capital of the World, Washington, DC, widen River Road within its borders past Western Avenue? Fuhgeddaboudit! Contrary to what you may be hearing from this meeting and the media - we are not "going to be okay" on our present course regarding development and infrastructure. "And now you know...the rest of the story."